Australian Leafwing butterflies Doleschallia bisaltide have returned to Fox Gully Bushcare as their caterpillar food plant Love Flower Pseuderanthemum variable is restored.The butterfly is well named. 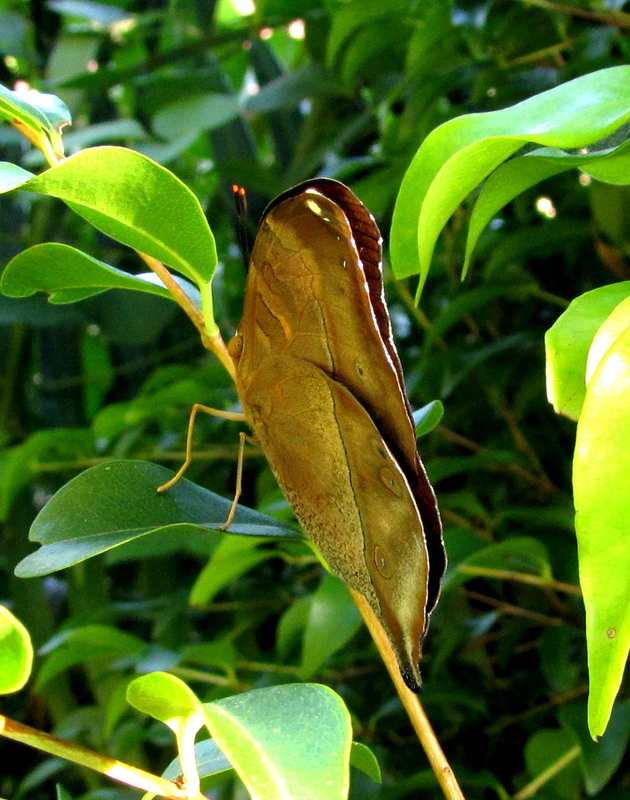 Once it lands and folds its wings it almost disappears as it looks so much like a leaf. However, wait a couple of minutes for it to open its wings … the bright orange tips on its feelers give a clue – top side of its wings are bright orange with black trim. 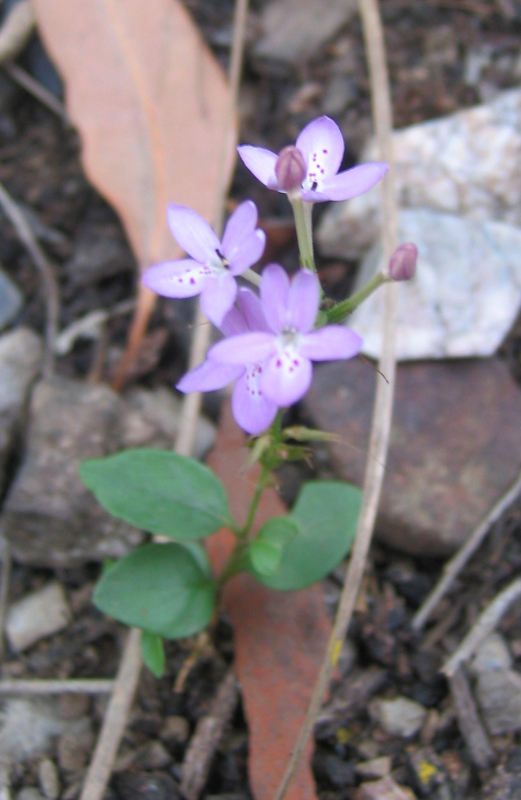 Love Flower is a beautiful little herb that is common on the Mountain but it had disappeared from the Fox Gully Bushcare site. The flowers were planted as part of our first Community Planting Day in 2007. 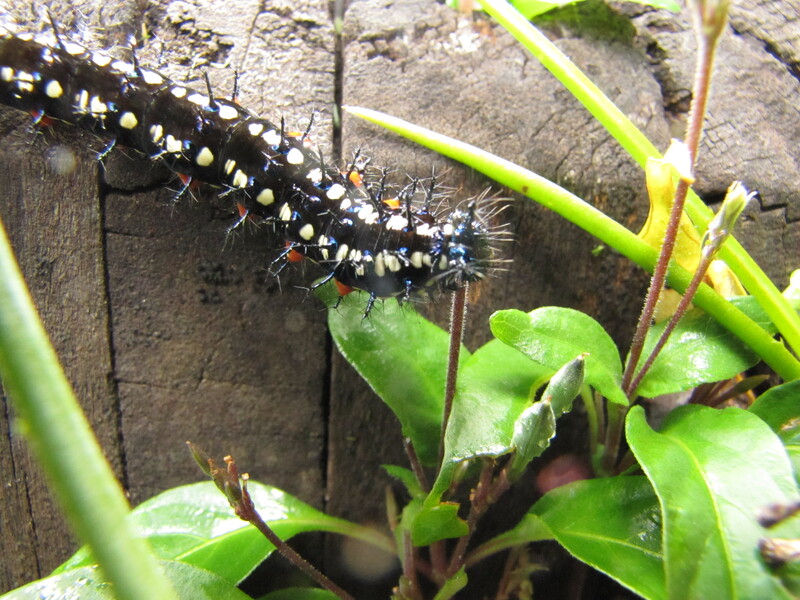 We had one caterpillar last year and this year we found about a dozen munching on the Love Flowers. These caterpillars are the most extraordinary looking creatures you are likely to find in your backyard. They look like they are covered in shiny black barbed wire.